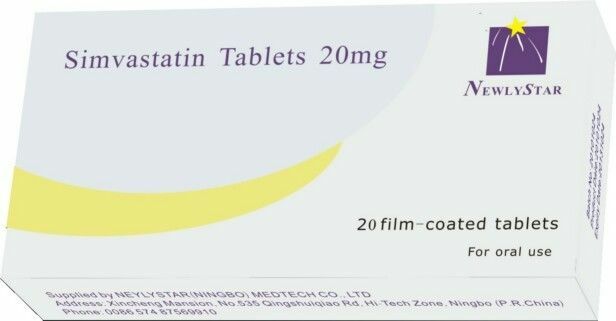 Simvastatin tablets, USP for oral administration contain either 10 mg, 20 mg, 40 mg of simvastatin and the inactive ingredients. LDL cholesterol remains ≥190 mg/dL; or LDL cholesterol remains ≥160 mg/dL and There is a positive family history of premature cardiovascular disease (CVD) or Two or more other CVD risk factors are present in the adolescent patient. Simvastatin tablets, USP have not been studied in conditions where the major abnormality is elevation of chylomicrons (i.e., hyperlipidemia Fredrickson types I and V).